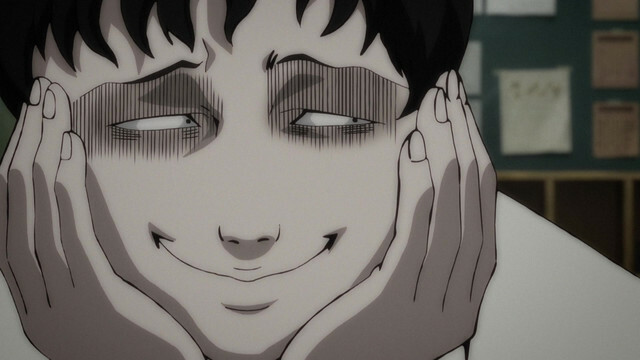 Junji Ito Collection is the most accurate adaptation of the manga series and feels satisfying to watch if you disregard its awkward moments. The mangaka does indeed have his own twists and takes on the horror genre, but it has issues translating into animation. The morbid wordsmith Junji Ito was born in Gifu, Japan in 1963 where he started cultivating his visions. His first notable piece, created around 1987, was submitted to a story contest—Gekkan Halloween—and won an honorable mention which would later be known as Tomie. 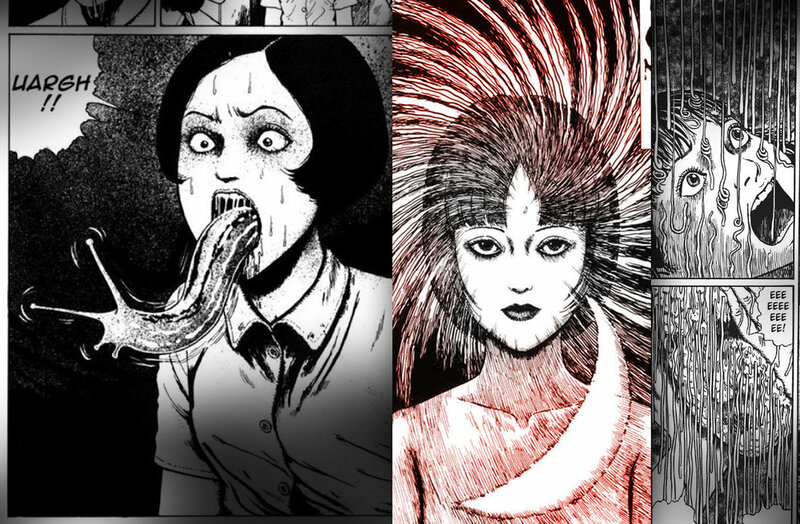 Once this man had tasted the possibilities, he started working on more stories and volumes which would manifest as the Junji Ito Horror Comic Collection. Consisting of delightful fright with a pinch of insanity, these collections contained original or alternative takes on some horror classics like Frankenstein. His work would prove to become so captivating to readers that adaptations were created for some of his work, including a Tomie movie series, Uzumaki, and Gyo. The details Ito loves to put into his manga are actually well adapted into the anime. Not only are the characters’ reactions on point, but the grotesque themes involved compliment it well. The first episode has the introduction of Souichi, who turns out to be a fan favorite character that constantly comes back into the Collection after X amount of volumes. After seeing this first segment with the charming nail-smile, Souichi’s adaptation fits his manga character, and the anime adaption feels like it’s on point… for the most part. The anime portrays the gruesome and enigmatic pieces well, but there are moments where these feel incomplete or awkward. An extended overreaction of a character makes the show seem frozen. There’s also a scene where a sister and brother are talking, but when a laughter track is played, it doesn’t seem synced up with the animation. Additionally, violent scenes are covered up, completely inaccurate to the intentions of the mangaka. While a character’s organs and bones brutally stretch out in the manga, the anime only shows viewers some shadow and an eighth of the true horror that this moment is meant to capture. These stories can certainly be messy in the manga, and censorship is always present in violent anime adaptations, but there’s a level of ugliness that needs to be shown to receive the reaction Ito would want from viewers. Seeing as how it’s a collection, part of the strategy for the anime comes from understanding which episodes of the Collection they should animate. Some personal favorites have already been animated, even if certain episodes depict stories that I did not care for. Regardless, it’s important to have a form of consistency when showing the stories. Starting with the Souichi story, then jumping to the sleeping patient story, then introducing the killer model felt a bit strange. It would have been much better to have the model story after the Souichi story—sort of spoiler, but the characters eventually interact in the manga volumes of the Collection. Even though it’s one of Ito’s simple stories, my favorite in the Collection anime so far has to be Long Dream. The anime adaptation actually felt fleshed out, and it was the visual medicine I wanted from the show. On the other hand, the first Souichi episode felt like it had painful pacing and presentation. While the realization of the fiendish prankster, Souichi, is felt throughout the episode, it seemed very awkward. The producers wanted to make the viewers uncomfortable, and while that was the point, it’s done in a way that makes the whole experience unenjoyable. Rather than relying on the ugly actions committed by the characters, the editing and cinematography are messed with too much to get the full experience. Overall, the anime does a good job embodying the emotions felt when reading the manga, but it could have exceeded current expectations. Perhaps it’s also because I previously read the manga and a good amount of the stories, but I felt like there was just a bit of that “final blow” missing. I definitely recommend the animation to newcomers of the Ito series, although the experienced readers may be disappointed.